An amplifying serum that promotes brow and lash growth. We're all on the search for longer lashes and fuller brows. What if you found the solution for both in one bottle? Enter Regenalash Plus. This nighttime serum is infused with nourishing peptides and clinically proven to promote the growth of lashes and brows. Get ready for the best sleep of your life. DIRECTIONS: Remove contact lenses. Remove all makeup, and cleanse skin. Pat dry. 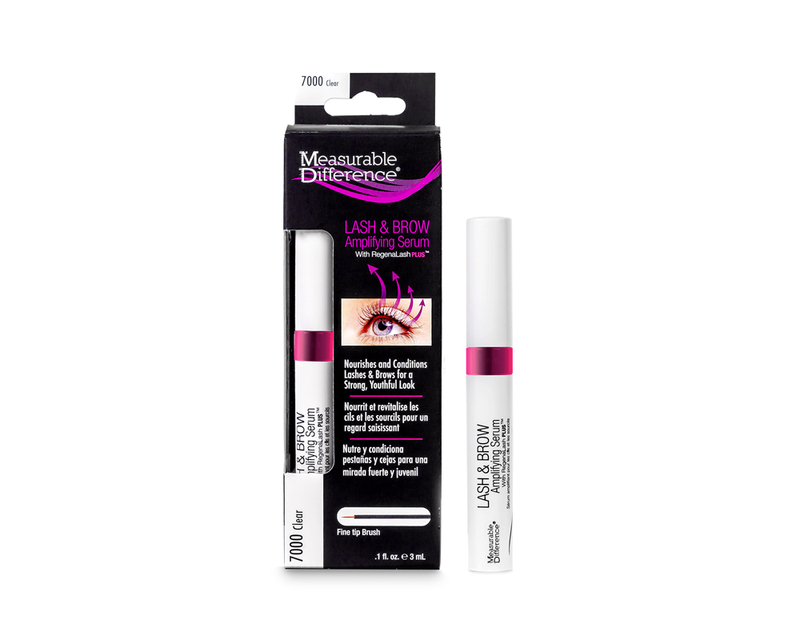 Apply thin layer of product to upper lashes and brows. Avoid contact with the eye. If product touches eye, immediately flush with cold running water. If irritation or discomfort develops, seek immediate medical care. INGREDIENTS: Water (Aqua), Glycerin, Phenoxyethanol, Polysorbate 20, Ethylhexylglycerin, Xanthan Gum, Glycerin, 1, 2-Hexanediol, Caprylyl Glycol, Benzoic Acid, Sodium Benzoate, Myristoyl Pentapeptide-17.